Evergreen shrub. Slow growing. 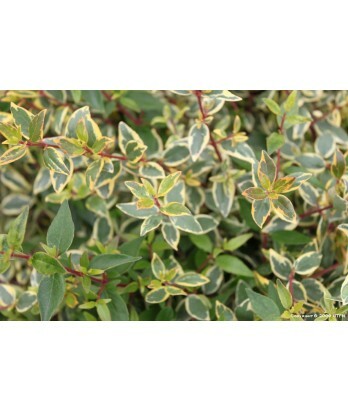 Densely rounded with small yellow and green variegated leaves. White flowers bloom spring through summer. Deer resistant. Regular water needs once established.